In his first year heading the Internet Corporation for Assigned Names and Numbers, Fadi Chehade has tried to establish a more international ICANN by opening hubs in Turkey, Singapore, Beijing, and Geneva. Governments, meanwhile, have found a new role within ICANN, mainly in respect to the new generic Top Level Domains, while the traditional tussle between ICANN and the International Telecommunications Union (ITU) over who should govern and manage the global Internet seems to have lost some momentum. Chehade replaced Rod Beckstrom as president and CEO of the international nongovernmental organization that oversees Internet standards. He sat down with the IDG News Service at the ICANN 47 meeting in Durban to answer questions about his first year in office. The following is an edited transcript of the interview. IDGNS: How has ICANN improved in the last year? Chehade: In the last year, we have done three main things; one, we have successfully changed the posture of ICANN, from an organization that was very centric towards Europe and U.S.A. (to an) organization that is embracing the rest of the world. We are moving a lot of our staff and resources from California to the new offices opening in Turkey, Singapore, Beijing, and Geneva. The second thing we did is we grew ICANN staff; it's double compared to when I started in terms of resources and these resources will grow. The third thing is that we have fundamentally changed our relationship with world organizations where we had contentious relationships. We cannot sit and shoot at each other, we have to come to mutual recognition that we cannot erase each other; we have distinct complementary roles. IDGNS: The Internationalization of ICANN has been a thorny issue for ITU how is this changing? Chehade: In his opening ceremony speech at this meeting in Durban, Hamadoun Toure, ITU Secretary General, said that ICANN is becoming more international, and it was great to hear him say that. There are many international organizations we need to work with and this is a journey that starts with a posture change. Mahatma Gandhi said "our actions express our priority" and we should respect other organizations including ITU. We are not a U.N. organization or a government organization and we must constantly find our legitimacy in a different way. And where does a transnational organization find its legitimacy? When it starts looking as if people are having a hard time participating in our meetings, then we are losing our legitimacy. I am focusing my efforts in the weakest points of our community. When I started, I had three people who focused on global engagement and by next year June we will have 40; I tell them go spend time to meet government, academics, and businesses among other ICANN constituencies. IDGNS: How has the role of governments evolved? Chehade: The Government Advisory Council (GAC) is growing. We now have participation from 130 countries including countries like Iran. The technical community has not always viewed the role of government as constructive but the GAC advice is now well managed. We have to realize that governments have a role and if we don't recognize them we are breaking the multistakeholder model. In cases where GAC shares advice that we feel will not work, we share our views and tell them why we think certain advice might not work. That is why GAC is growing in substance and number within ICANN. IDGNS: The Registrar Accreditation Agreement has now been signed, what compromises were made? Chehade: Some of the complaints were not substantive but were very important to me. For instance, I wanted a simple document that explained the rights and responsibilities of an end user. We managed to do this and it is now available as one page document on the website. The best part is that we had the interests of end users. It wasn't about ICANN regulating registrars; we made it clear that we had common goals and had to make compromises for the benefit of end users. In the end the process went faster. IDGNS: The format of ICANN seems to have changed its format to include more young people. 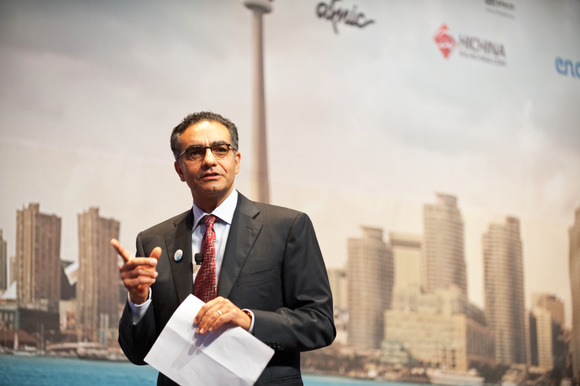 Chehade: For years, ICANN meetings used to be about getting our work done but that has changed. We need to engage with different regions in work meetings and across cultures. We need more young people from Africa to speak and we need more African sessions. How can I go to a local university and meet with students? When we hold meetings in Latin America, Asia, Europe, and North America, we will try to make the meetings address the unique challenges in the region and this is how our public will find more value.